"Under Construction". 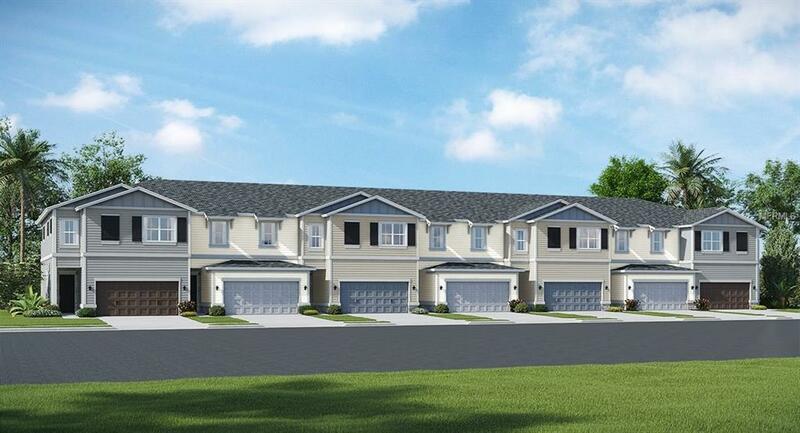 Time to upgrade your life with this impressive two-story townhome that includes four bedrooms and three and a half bathrooms. A welcoming foyer leads into the spacious dining room. The open kitchen layout leads into the family room. There is also an over-sized master suite complete with his and hers sinks. A two car garage, laundry room and rear lanai are also included. We have a limited release of NEW homes that sit on well-maintained sites with beautiful views, perfect for relaxing with friends and loved ones. With "Everythings Included, luxury and value go hand in hand. New highly energy efficient homes feature 42 wood cabinetry, quartz countertops in both kitchen and bathrooms, slate appliances, state of the art security system, plus blinds on the windows. The Oaks at Moss Park has a swimming pool, nature trails, numerous ponds, and a tot lot for families. There is also a pond on-site and an HOA for the community.